Vehicle wraps with Denver business logos imprinted on them are one of the most effective types of advertising for one obvious reason: You take your personal or company car with you everywhere you go. Therefore, everyone will see your ad whether or not your car is parked or if you’re at a stoplight. Vehicle wraps in Denver made especially for you by ABC Reprographics are tailored exactly to the image you want to portray. For instance, you might have a cleaning business and might need an image such as a broom or a vacuum cleaner that represents what your business does. If you own a flower shop, you might require a bit more elegant of a graphic or font. 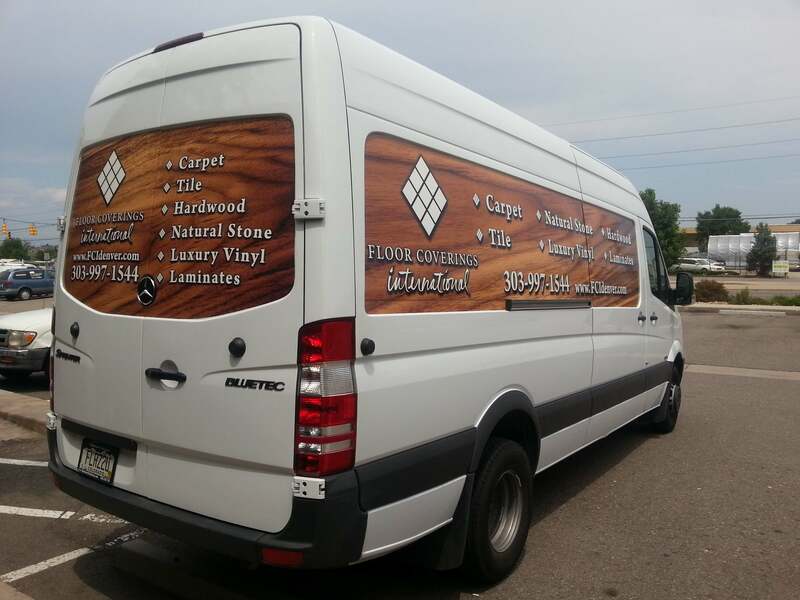 Whatever product or service you provide; we will help you come up with the right marketing plan that includes our vehicle wraps. Otherwise, we can help you improve on your current art work whether it is stored as a digital file or is in the form of a hard copy. You also might need our services if you want us to create custom car decals for Denver car exhibitions. If you are a racer, we also can help you create a one of a kind design to show off your car. The custom car decals in Denver will help you gain the recognition you need whether you are a hobbyist or professional racer. When it comes to choosing an advertising medium that has maximum impact, you cannot go wrong with a vehicle wrap. It’s not only affordable, but also practical. Therefore, please contact us today and ask us how we can create a custom vehicle wrapping for your Denver company. Non-profit organizations can also promote their causes using vehicles to display a message. No matter what your mission statement is, our number one goal is to make you look good. To accomplish this, we will carefully compose text and graphics that will most effectively market your brand. In the process, ABC Reprographics is always welcome to your ideas. Please email us or call us today to help you get started on making the right car graphics decals in Denver for your vehicle.